As we close out #AmericanWindWeek, it’s been thrilling to see towns, communities, local leaders and wind industry workers gather across the country to celebrate wind power. Importantly, Fortune 500 companies and business leaders also showed up. Corporate purchasers of wind voiced their support nationwide, touting the economic and environmental benefits that wind power brings to their customers and organizations. And there’s quite a lot to celebrate. Corporate and other non-utility customers have procured more than 10,000 megawatts (MW) of wind power to date, including more than 9,700 MW in power purchase agreements (PPA) through the second quarter of this year. That’s more than Oklahoma’s installed wind capacity, the country’s number two wind state. Let’s look first to Cummins. One year ago, the global manufacturer signed a 75 MW PPA with the Meadow Lake Wind Farm located in Indiana. Cummins is purchasing enough wind power from Meadow Lake to power approximately 20,000 average Indiana homes. To celebrate their one-year anniversary, Cummins employees toured the wind project construction site. “This is a big moment for us,” said Mark Dhennin, Cummins’ Director of Energy and Environment. “This is a huge part of our energy sustainability plan at Cummins and it was really important to do it right, with the right project, in the right location, with the right developer.” Cummins visited the construction site on Crane Day, an opportunity for the public to see cranes erect state-of-the-art wind turbines. Microsoft also used #AmericanWindWeek as a chance to look back on its five-year journey purchasing renewable energy. 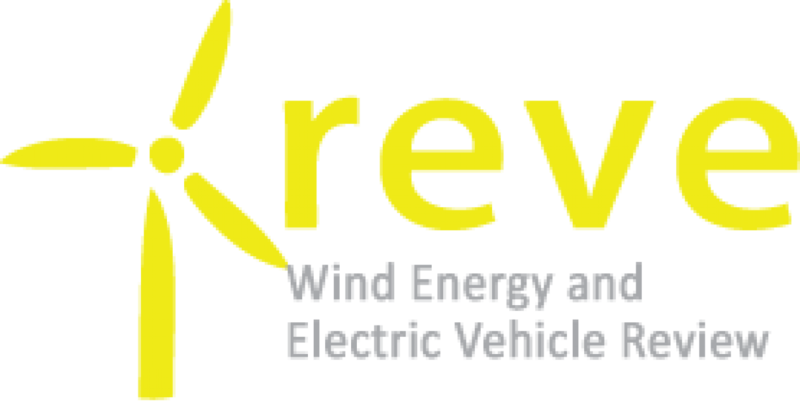 The technology giant signed its first wind contract in 2013, purchasing 110 MW from the Keechi wind project in Texas. Since that time, Microsoft has grown its global renewable energy portfolio to more than 1,200 MW, with more than half of that total coming from wind. 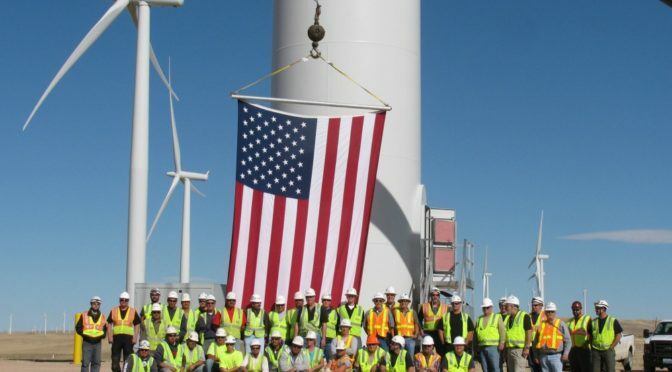 “This is a win-win-win story, as new wind projects generate clean power and new jobs and economic growth in communities from coast to coast, and every state in between, all while lowering the carbon footprint of the U.S,” wrote Brian Janous, General Manager of Energy & Sustainability at Micrsoft, in a blog post celebrating American Wind Week. Others got involved in #AmericanWindWeek through social media. In particular, AT&T wind PPA announcements total 820 MW in 2018 alone, with the company purchasing power from four different wind farms in Oklahoma and Texas. #AmericanWindWeek coincided with a historic announcement this week that Apple, Akamai, Etsy and Swiss Re are partnering together to purchase 290 MW from planned wind and solar projects in Illinois and Virginia, respectively. Aggregating demand can help smaller demand customers access renewable energy projects with economies of scale. Just last week, Smuckers announced a 60 MW PPA with a planned Nebraska wind project; the following day, Facebook announced its most recent 139 MW PPA with the Headwaters II Wind Farm in Randolph County, Indiana.